Specialists in coffees and teas, freshly made food and also a full gluten free menu. Dog treats and a water bowl is provided. Dogs are allowed all throughout the seating areas. We love pooches! 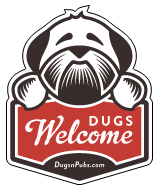 There are a total of 4 dog friendly listings in the Featured Perthshire category. Please log in, or sign up as a member to view all listings.